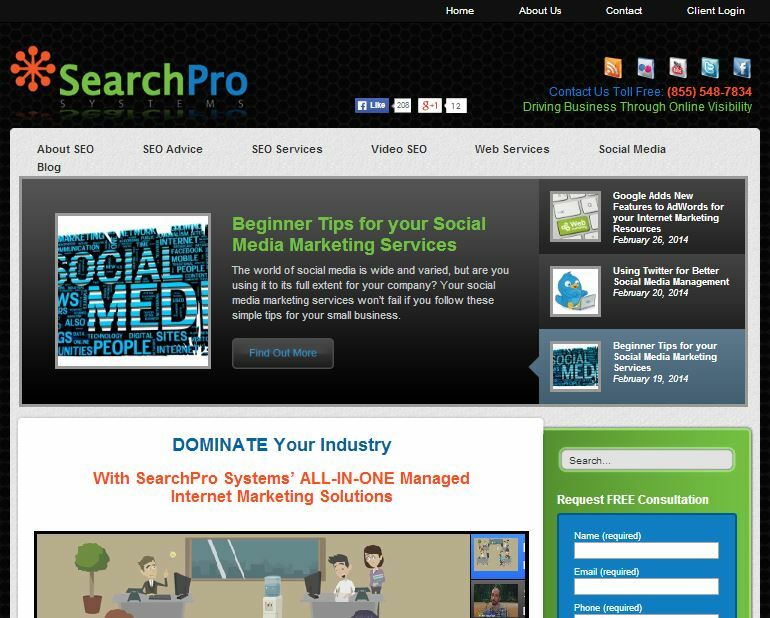 SearchPro Systems is a leading internet marketing firm offering comprehensive managed SEO services. Founded in 2007 in Nashua, New Hampshire, the company has worked with more than 150 clients, and boasts an impressive 97% client retention rate. The firm offers all-in-one managed services, processes, and technology to help clients boost their businesses by improving overall online visibility. SearchPro System’s mission is to provide unparalleled internet marketing services, which leads to outstanding and sustainable results. SearchPro Systems has created a number of attractive, balanced, and effective Internet marketing programs for businesses of all sizes. These complete custom programs focus on delivering consistent creativity, quality, value, performance, and return on investment. They provide customized work based on the client’s industry and territory, handling everything, from the campaign’s conception to maintaining it after launch. They offer the competitive pricing in their digital marketing services. The company provides a diversified all-in-one program that offers a full range of managed online marketing services. This includes simple to complex SEO work, from brand development, logo design, SEO-friendly web design, Search Engine Optimization, social media management and marketing, HD quality video production, video SEO, creative content writing, blog management, to on-call graphic design and a lot more. SyAM Software, SL Gun Shop, Akken Software, Western Aviation, Just Naturals & Co.